Sending an email or SMS when they were angry, confused or anxious – When you are not in the right mood, don’t press “submit”. Wait! Sleep on it! After a good night’s sleep, things seem different and we don’t send silly things we regret later on. Burning bridges – I once attended a course that encouraged people to burn bridges, so they wouldn’t be tempted to go back to their previous jobs. I thought it was the worst advice anyone could get. We traveled the world using only our contacts and connections and only people that had worked with us in the past and that we had kept in contact with after moving away. You don’t have to ruin your relationships in order to move on. You can move on and stay friends. Not doing the things they love (hobbies, interests) – Unfortunately, those who face a life-threatening situation regret this the most when it’s too late. Do the things you love! Why? Because life is short! Don’t wait for a terminal reminder! Taking a job just because of the money – When taking a job, think of the challenge, the motivation, the passion and the fulfillment. Do every job not for the money, but for the experience and the personal growth. Trying to fit in with society and not being true to who they were – It is important to remember that only we are responsible for us and that most people do whatever is good for them. Following your own values, gut feelings and conscience is better than following the crowd, the herd, the majority or the strongest. Missing opportunities – Search for opportunities and check every option using SWOT analysis (Strengths, Weaknesses, Opportunities and Threats) and you may not miss some of the opportunities. We need courage to do this and try things that may not have an obvious outcome. Not spending time with loved ones – Ask any person who has a short time to live and they will tell you that they want more time. Not to work, not to clean the house, not the accumulate possessions, but to spend with loved ones. Children, partners, family relatives, friends – spend as much time with them as you can. This time never comes back. If you have grownup kids, you know what I mean. They grow up so quickly. Make the best of the time you have with them. Not saying “I love you” enough – Say “I love you” to your partner, children, friends, family relatives and parents. Don’t be stingy. It’s free! It makes everyone happy, including you. Say it every day! Being angry with loved ones – This one goes hand in hand with not saying “I love you”. Being angry is an obstacle in relationships. It brings us suffering and is the opposite of love and acceptance. We don’t always need to be right. We don’t need things to be exactly the way we want them to be. We don’t need others to fulfill our needs and desire. Anger is self-poison. Don’t drink it! Betraying trust – Don’t gossip! Don’t be jealous! Don’t share another person’s secrets. Why? Because trust is something that cannot be mended. It is a precious gem that cannot be put together to look sparkling again, once broken. 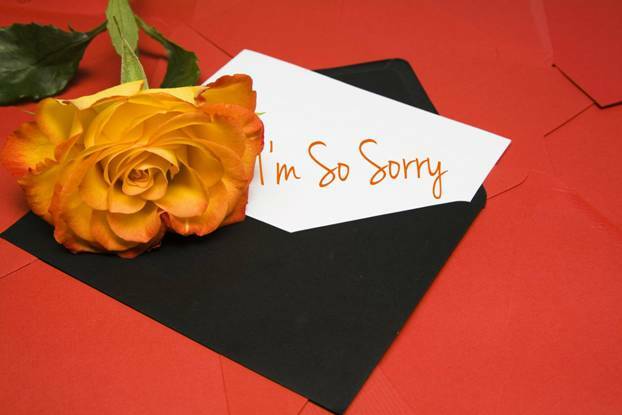 Not saying “I’m sorry” – We all make mistakes. If we admit our mistakes, it only means that we know we are human. The easiest way is to say, “I didn’t want it to be like that. I am sorry it turned out that way”. So many wonderful relationships could be saved with simple “sorry”. Not using time wisely – Time is an important resource and we all have the same 24 hours in every day, the same 60 minutes in every hour, yet some of us use them wisely and some waste or even abuse them. When time is taken away from you, or it is under threat, you regret not using it while you could. Learn to manage your time effectively and be time rich, rather than time poor. 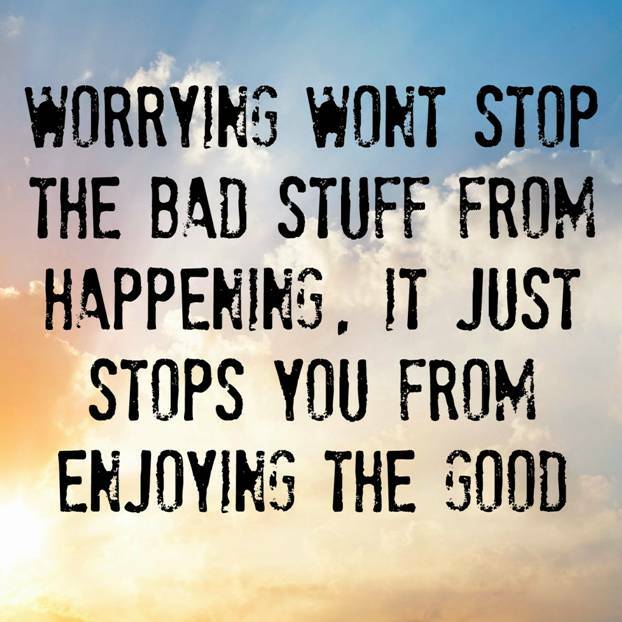 Worrying too much instead of enjoying life – Worrying robs us from experiencing life to the fullest. In the movie “Bridge of Spies”, the lawyer says a few times to the Soviet spy, “You never seem to worry”. In every case, the spy asks, “Would it help?” Worrying doesn’t make the future any better. It just ruins the present. Learn live in the moment as much as you can. 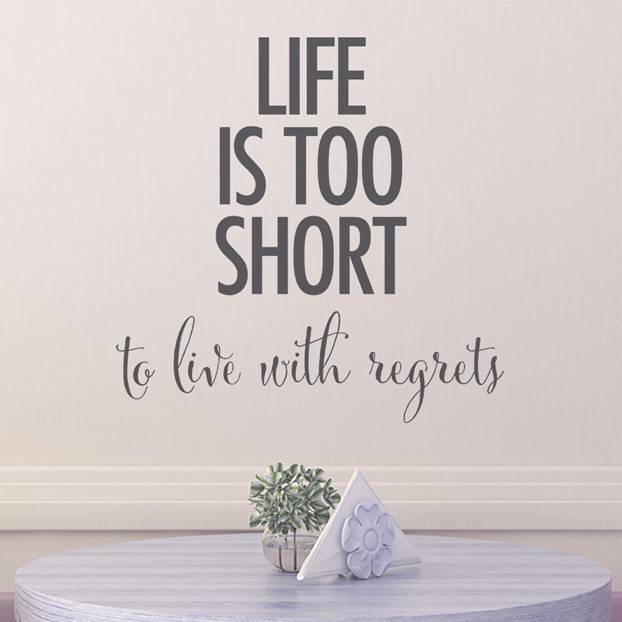 Life with no regrets is easy. 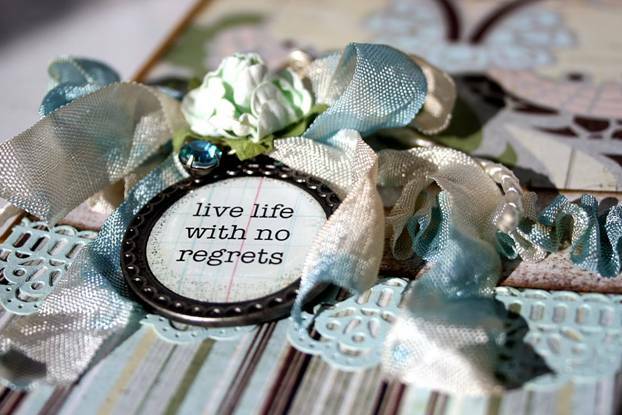 Without regrets, we have peace of mind and we can live life to the fullest.